LIVE LIFE IN FULL BLOOM Sign for Gypsy Fairy Gardens. 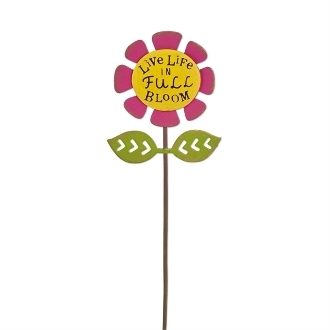 Full Description: Remind yourself to "Live life in full bloom" with this adorable, inspiring mini sign. Features all-weather paint. Made of metal.